Inspired by the “Original Narratives” exhibition to be curated by Andrés Burbano for the SIGGRAPH 2018 Art Gallery, the ACM SIGGRAPH Digital Arts Community Committee invites proposals for works to be shown in a new, juried online exhibition on the theme of “Origins + Journeys.” Digital art formats for the web-based, online exhibition might include still images, animations, short time-based media excerpts (with links to longer works), interactions, installation documentation, or other formats suitable for presentation on the web. We are especially interested in art that explores the Origins + Journeys topic thematically and conceptually, through both the medium and content of the work. 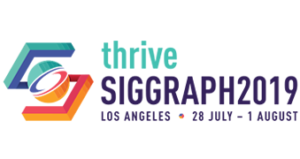 Work will be juried by the ACM SIGGRAPH Digital Arts Community Committee members, along with other curators, scholars, and practitioners in the field. As with the other online exhibitions organized by the ACM SIGGRAPH Digital Arts Community, this exhibition will be presented and promoted primarily online. However, in keeping with our shared theme, we also plan to feature this online exhibition on a single screen or kiosk adjacent to the Art Gallery at the annual SIGGRAPH 2018 conference in Vancouver in 2018. Questions may be directed to the ACM SIGGRAPH Digital Arts Community Chair at arts AT siggraph.org.